We were very satisfied with the way they took care of our house. They are a hard working crew. You guys can be very proud of your business and staff. Good presentation at diner. I wanted to cut energy bills and lower my expenses. Overall happy with how you communicate with your potential customer and give them all possibilities on what you may need. Workers are great,thank you again. I am impressed at how everyone is on time for the appointments and friendly and always trying to help! The results are astounding & greatly appreciated! Benjamin Spencer did a great job in answering all our concerns. Fair price and willingness to work around my schedule. Positive, professional attitude of sales and office representatives. Joe Ellis and crew insulated our house and went well above our expectations. His crew was friendly and courteous. Joe answered our questions and kept us informed how the job was going. 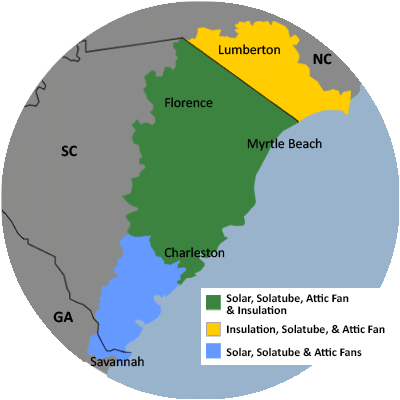 If you need and insulation or other energy saving items for your house call Carolina Energy Conservation Company, you will not be disappointed!!!! !